Place and date of birth: Russia (Moscov), february 22, 1945. Place of residence: United States (New York). Art training: Art Club (Penees, USA) from 1985 to 1990, private teacher (New York, USA) from 1990 to 1994. Main subjects: flowers, landscapes, abstract composition, poetry. Preferable artists: Georgia O'Kuffe, Yrubel, Aivazovsky, Renuar, Brulov, Fr. Remington, Thomas Moran, William Mart. Interests: Musique, creation litteraire, poetie, peinture, photographie, collection de parfum et des bouteilles de parfum. Место и время рождения: Москва, 22 февраля 1945 года. Художественное образование: Art Club (Penees, США) с 1985 по 1990 год, частный учитель (New York, США) с 1990 по 1994 год. Основные темы: цветы, пейзажи, абстрактные композиции, поэзия. Любимые художники: Georgia O'Kuffe, Врубель, Айвазовский, Renuar, Брюллов, Fr. Remington, Thomas Moran, William Mart. Интересы: Музыка, литературное творчество, поэзия, живопись, фотография, коллекционирование духов и флаконов из-под духов. · 2006, Museum of Contemprory Russian Art, Jersey City (NJ). · 2004, Academical Knight of Accademia del Verbano (Italy). · Dizionario Enciclopedico Internazionale d’Arte Moderna e Contemporanea, Casa Editrice Alba (Ferrara, Italy, 2007). Olga Imayeva Gribanova é nata a Mosca. Si é accostata all’ arte durante l’infanzia imparando a suonare il piano. Nel 1980 é emigrata negli Stati Uniti. La sua famiglia aveva una galleria d’arte a Manhattan e Olga si é accostata alla pittura. Così nel 1990 Olga ha iniziato a studiare arte al Queens Club. Nel 1993 ha tenuto la sua prima mostra.. E’ stata recensita più volte da molti critici tra i quali Antonio Malmo. E’ associata all’ Accademia del Verbano. Le sue opere sono custodite presso vari musei negli Usa e in altre nazioni. 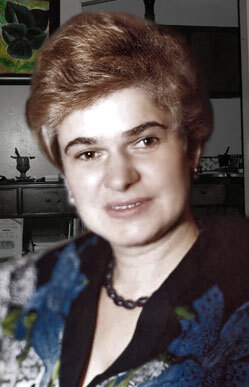 Olga Imayeva-Gribanova was born in Moscow. She got in touch with art during her childhood learning to play the piano. In 1980 she emigrated to the United States. Her family had an art gallery in Manhattan and Olga approached painting. So in 1990 Olga began studying art at the Queens Club. In 1993 she held her first exhibition. She has been reviewed many times by many critics, including Antonio Malmo. She is associated with the Verbano Academy. Her works are kept in various museums in the USA and in other nations. Ольга Имаева-Грибанова родилась в Москве. Впервые она соприкоснулась с искусством в детстве, когда училась играть на пианино. В 1980 году она эмигрировала в Соединенные Штаты. У ее семьи была художественная галерея в Манхэттене, и Ольга стала интересоваться живописью. В 1990 году она начала учиться в художественной школе в Квинзе. В 1993 году она провела свою первую выставку. Многие критики публиковали отзывы на её работы, в том числе Антонио Мальмо. Она состоит с Академии Вербано. Ее работы хранятся в различных музеях США и других стран. «...Nelle sue opere la fantasmagorica bellezza del creato. Ha sua pittura rifugge da ogni preziosismo accademico. È sincera, dettata dalle sue emozioni dinnanzi all’incanto della natura. La pennellata scorre fluida e sicura, la sua tavolozza è quanto mai mossa e variegata. Ama dipingere con il cuore, estrinsecare i suoi moti dell’anima attraverso i colori per lei è una ne’ cessila intima, sofferta. Predilige riportare sulla tela il profumo dei fiori, di tutte le variegate forme, grandezze e colori. Si può avvertire l’afflato lirico che sprigionano nel contesto dell’opera. Si avverte la sua costante ricerca, continua nel tempo, per meglio esprimere la delicatezza dei “simboli” che ella vi racchiude: gentilezza e squisitezza d’animo, sensibilità estrema, garbo, “charme”. I messaggi racchiusi tra i petali dei suoi fiori richiamano alla nostra mente l’abbandono ambientale, tra smog e frastuono, in cui la società contemporanea è costretta a vivere al giorno d’oggi, dimenticandosi della poesia che è “racchiusa” in un fiore...». I'm very happy to write some critic notes on the personality an on the excellent quality of the art works of the American artist Olga Imayeva (Gribanova) for her extreme sensibility, the soul's exquisiteness, her spontaneity and expressive sincerity. Her great love for the natural world, her spiritual wealth and emotive participation are the most interesting and unquestionable human and artistic qualities that characterized her pictorial world. The serenity of the soul, the joy to live and the possibility to express – for ever – through the colours her emotion in front of the variegated and wonderful performance of the Nature, they are certainly the characteristics of the painting of Olga Imayeva (Gribanova), who loves to paint the flowers of different form, size and colour. Potent narrator of colours, she speaks, tells with her vital rhythm, about the extraordinary freshness and beauty of the floral landscape. The artist is able to transmit their unfold to the sun's light, almost we can feel the life, that fluctuates through the little leafs and we can feel the lyric harmony and the perfume, which they emanate in the art-work's contest. The contained messages among the petals of the flowers, painted by the artist recall to our mind the environmental neglect between pollution and noise, who the contemporary society is forced to live unfortunately, and forgets the poetry, that is contained in a flower. Her painting shrinks every academic preciosity. Olga Imayeva (Gribanova) creates on the canvas some precious images, that represent some poetic varieties of her emotions. Her palette is very moved and variegated. We must admit that her need to express her soul's movements, through the signs and colours, is sincere, true, feeled spiritually. In my opinion, the luminosity of her painted atmospheres, assumes the meeting, the sense, the symbol of a better future for all the humanity, who is manipulated, often, by the flatteries of the dominant system, which us distracts from the delight of admiration of a garden, full of multi-coloured flowers. We must agree, besides, that the artist refused always the compromises and never imitated the styles and the currents, of the present and of the past. She created a simple, linear, very personal style to can completely express her personality of woman and artist to the beginning of the third Millennium. It seems opportune to me to set in evidence that Olga Imayeva Gribanova don't use some metaphors, proclamations, empty academic phrases, but prefers to paint with the delicacy of her brush stroke, ever fluid and nimble, that contains the throbs of her heart. We must acknowledge that the artist is able to pick in the poetry's garden the most sweet words for her agreeable artistic narration. I must underline that the painter knows perfectly the chromatic scale. In fact, the colour's harmony, in every her composition is wonderful. In my opinion, among her very notable qualities, purely pictorial, particularly worthy of note, are the spatial power of the chromatic particles and the liberty to do interact sign and colour for obtain, so, her artworks. I don't link to be wrong when I affirm that Olga Imayeva (Gribanova) has undoubted natural endowments which are augmented with the time above of all thanks to her search in the outline of the figurative arts and when I affirm that the artist deserved the flatter consents of the public and of the criticism. In conclusion, in my opinion, the artist is a woman of great personality, of poetic spirituality and of notable artistic experience in the new Millenium.